Happy 1st Birthday, OP Elementary! Octave Park Elementary was published one year ago today. It has been a great year, with dozens of downloads and happy customers! In the past year, OP Elementary has grown in content with multiple updates, including the addition of a ‘Methods’ chapter to apply music theory from the text to specific instruments like piano, guitar, harmonica, and recorder. This method section will continue to grow as we are already working on new content to be released this summer. Octave Park Music donated 30 copies of OPE to an elementary school in the South Hills of Pittsburgh, PA, where it has been board-approved and used daily in the classroom with great success. We have been proud sponsors of the California All-State Music Educators Conference and the Christian Homeschool Association of Pennsylvania. Octave Park Elementary is already an engaging and interactive tool for learning the fundamentals of music theory with plenty of content for any public, private or homeschool music classroom. But the best part is – we are just getting started! Get your very affordable copy today, and enjoy lifetime updates as we continue to pack it with content for all of your music education needs! 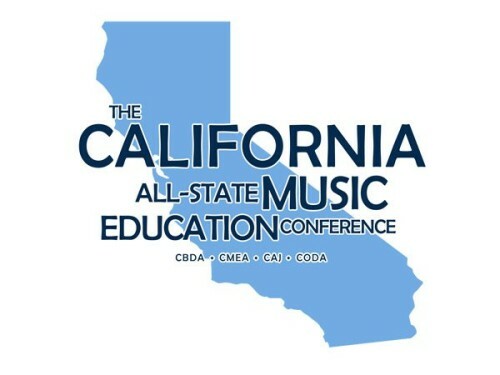 Thanks to the California All-State Music Education Conference for a great weekend! Octave Park Music was proud to be a sponsor of this event. Congratulations to all of the talented performers who brought the music to the conference! We hope that all of you dedicated educators are returning to your classrooms with a renewed perspective on how important and appreciated your work is! Happy Valentine’s Day and safe travels home! OctavePark.com™ has been around for a little over a year now, and is happy to be boasting an all new design! You can find information here about Octave Park™ Elementary, a practical textbook for learning and developing musical fundamentals. Music Theory is the binding force between all musical instruments. Once these principles are known, they can be applied to any instrument, immediately. Download a free sample of Octave Park Elementary at the iBooks Store℠ today! We would love to hear from you. Leave us a message on our discussion page, or send us an email at OctavePark@gmail.com. Octave Park™ Music is proud to announce that Octave Park™ Elementary is now available for download on iBooks®. Get your copy now and Study Music Right™.